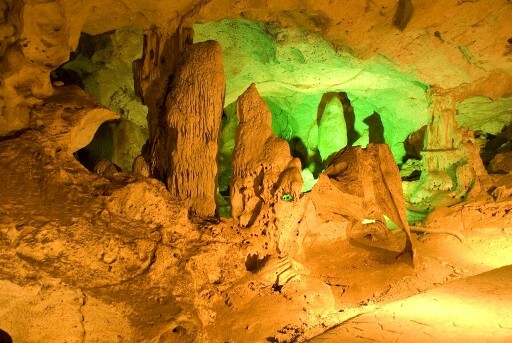 The Green Grotto caves, also known as the Runaway Caves, are located just under 2 miles from the spot at which Christopher Columbus landed in 1494. 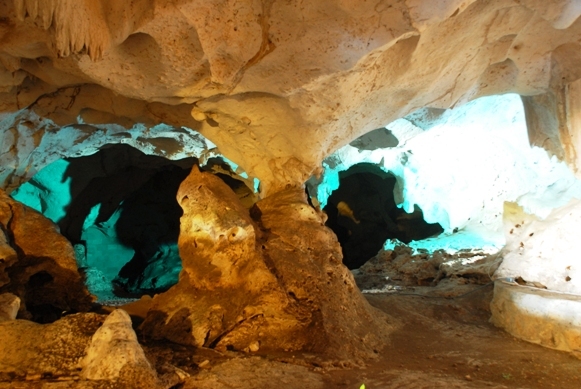 The caves were a haven for runaway slaves in the 18th Century and between the two World Wars, were used by smugglers running arms to Cuba. 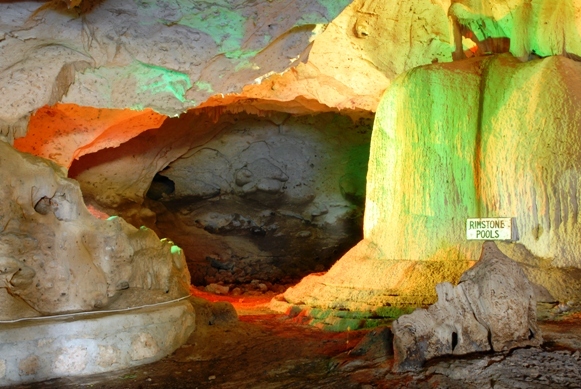 The Grotto Caves were sought after as a hideout by the Spanish during the takeover of the island by the English in 1655. 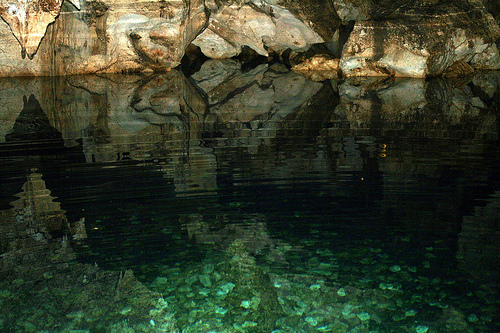 The Green Grotto caves feature a series of interconnected passageways and chambers, light holes, stalactites and stalagmites, as well as two lakes. 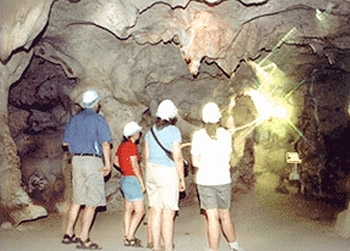 Your guide will explain the nature of the tour and take you on a 45min walking tour through the caves. It is strongly recommended to wear proper footwear. 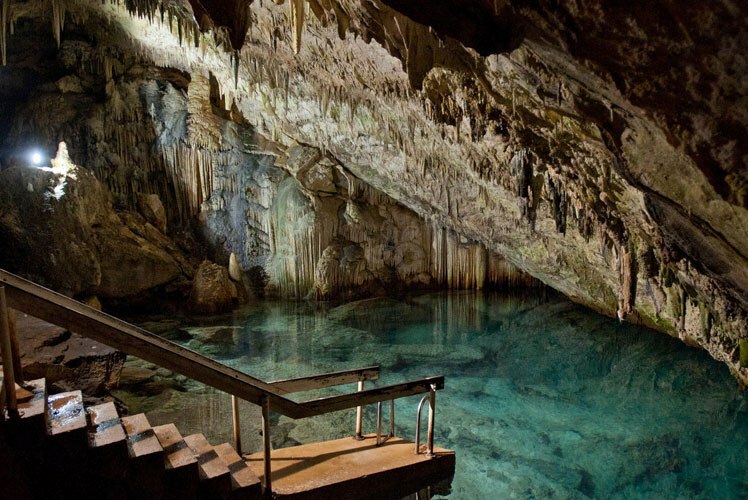 The highlight of the Green Grotto Caves tour is the descend into the innermost cavern, where visitors will see a crystal-clear underground lake. We absolutely enjoyed this tour. The guide was very informative and funny. They were very accommodating. Great experience...Kids were a bit scared of the bats..It is a guided tour and the guides are extremely knowledgeable and answer all our questions. Fantastic tour. Knowledgeable tour guide and they were pleasant too. Overall it was a nice experience...The guides are nice and friendly. It's damp and a little cool inside but a very informative tour.. The driver and guide were excellent. My only complaint is that there isn’t much to see. Our day was great the Driver ?Cole was wonderful ( i only say ? because we booked several services through your company) and day on the river was beautiful.